Adopt a Wild Spirit for your website! These beautiful creatures will sit on your page and protect it from... oh, I don't know, anything you can think of. There are a few easy rules I hope you'll follow (see below). 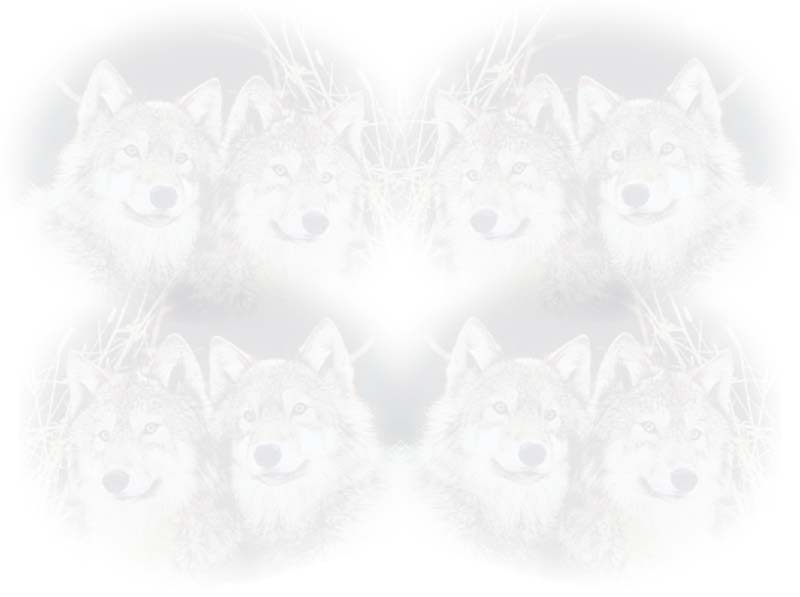 If the pic you choose has more than one wolf in it, please tell me both names. If you can't use the form send the information to triandafilou@excite.com. If you can't decide on a name for your Wild Spirit try the names pages. 1. Choose the wolf you want from the pages below. 2. Remember the cage number and come back to this page (main page). 3. Fill in all of the information (URL is optional. Though if your page is on wolves, please write it down, I love visiting other wolf pages) and send. 4. Your wolf will be sent ASAP in .bmp form. 5. When you receive it, post it on your webpage and don't forget to link it to http://come.to/WSWK. 1. Please link it to http://come.to/WSWK. It's very inconsiderate not to. 2. Please don't put anything fancy around your name or your site's name (ex. ~**~Wild Spirit Lair~**~). It make it harder for me to fit it onto the certificate. 3. Please don't alter the wolf picture. They look fine as they are :). Please send once! I delete all multiples. Also ones with info missing (except URLs). This page is copyrighted for the style, text, pictures, and the idea of adopting a Wild Spirit. The idea of adopting a wolf for your page is not mine.